Based at Lake Atitlan, Guatemala and lead by an international team, Fungi Academy is your destination for mushroom education. The breathtaking natural beauty makes it feel like vacation while our intentional community gives you a sense of home and family. Meet authentic people and make connections that lasts while you immerse yourself deep into the study of fungi. 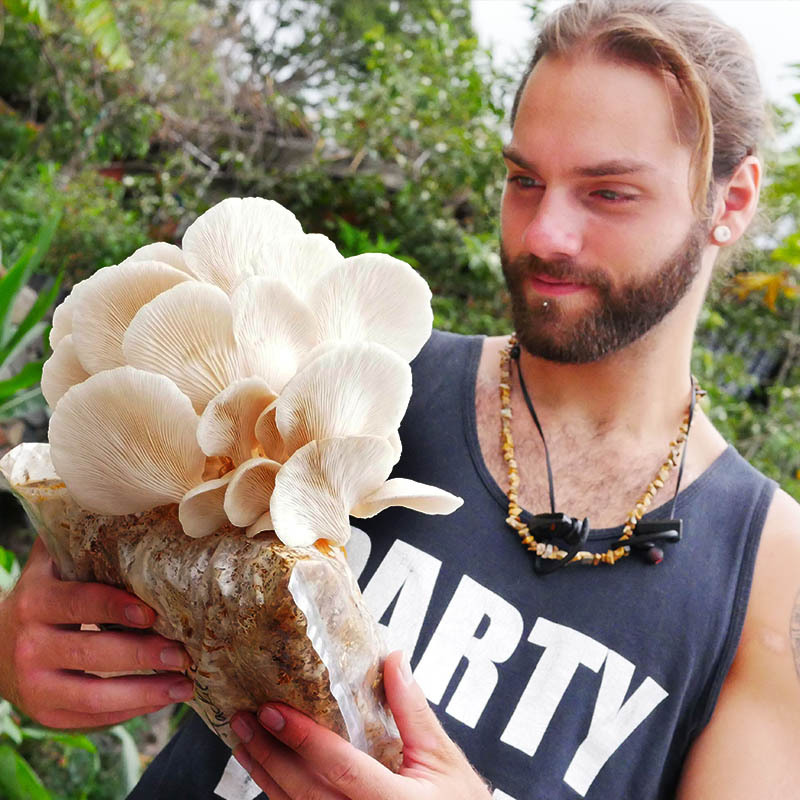 Join our courses and embark on your journey into the mind blowing world of mushrooms. 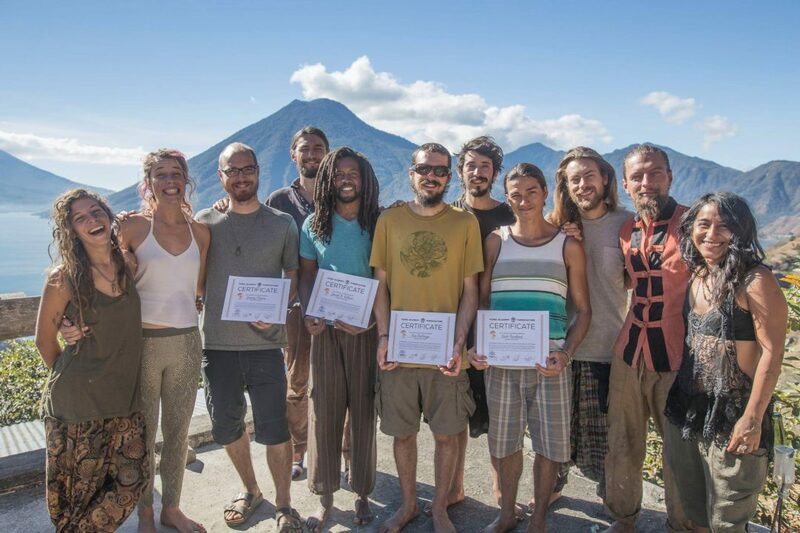 Fungi Academy is a creative mushroom training center and an educational co-living space at Lake Atitlan, Guatemala. Mushrooms are our inspiration to cultivate a symbiotic relationship between ourselves, our community and the ecosystem of our planet. We seek to empower people to learn how to grow mushrooms. There is much more than just growing fungi for food. Mushrooms can help us to regenerate soil, filter water, clean up chemical pollution, integrate it in permaculture systems, grow medicine and expand consciousness. That’s why we created Fungi Academy, an alliance between humans and fungi, that inspires us to live in balance with each other and our environment. Sustainability and living in symbiosis with the natural world is the main inspiration to our lifestyle. We consider the Balance of Life to be sacred. Fungi is an elder species on Earth that helps us to find this balance inside ourselves and the world around us. Join the family network of mycologists, digital nomads, permaculturists and inspirational people from all around the world. We keep you informed about the special world of fungi, upcoming events and unique discounts and offers for the Tribe. 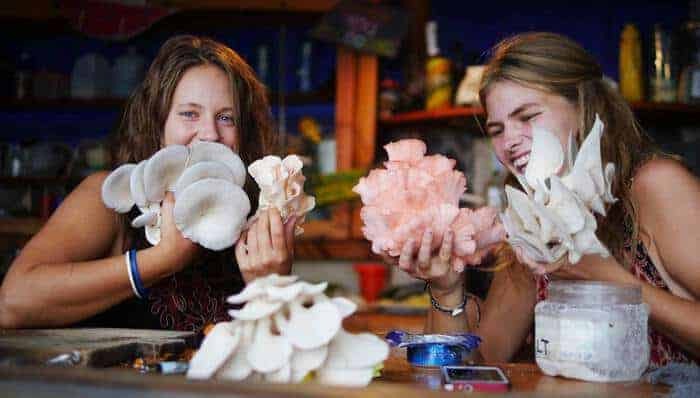 With our intensive 5 to 7 day long mushroom cultivation course we give you all the hands-on experience and knowledge you need to grow your own mushrooms successfully. Most importantly, we will help you understand the cultivation process, through practical examples from our own grow operation. Join us for an epic journey of diverse lectures and practical hand-on experiences. 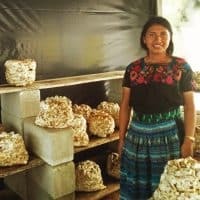 Weekly mushroom cultivation workshops in San Marcos la Laguna. Private workshops available on request. Learn the basics to successfully start your own mushroom cultivation journey. Besides being a hub for learning about fungiculture, we are also a intentional community. We offer volunteer opportunities for travelers interested in immersing themselves in community building. Come and immerse yourself in community life. As a guest you are free to use the house and its grounds as your own. With no time commitment, work expectations, we offer you a peaceful environment, knowledge and breathtaking views. 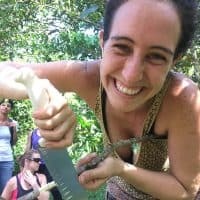 Learn how a intentional community made our of international travelers and mycophiles operates and how we incorporate mushrooms into our life. We are currently building a coworking and networking space for meaningful connections. Join the family network of digital nomads, permaculturists and inspirational people from around the world. 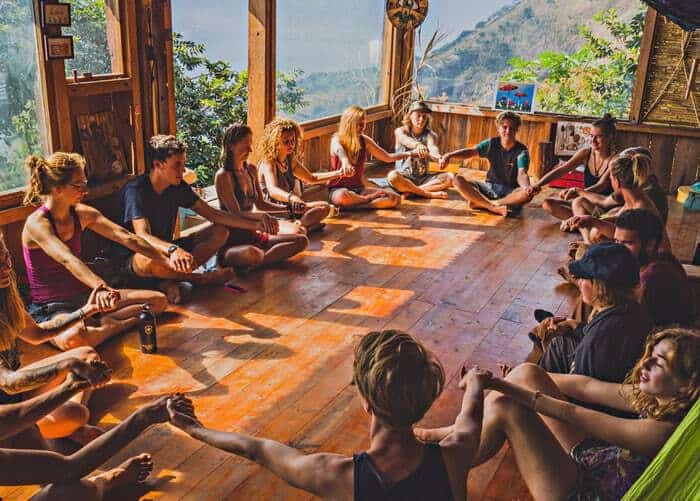 Work efficiently and find balance between work hard and play hard, because of the beautiful co-living culture we established here. We are an international collective of passionate earthlings, working together to bring the magic of fungal wisdom to the world. We are seeking to spread environmental consciousness, showing people how they can be a positive force for global change, while doing what they love. 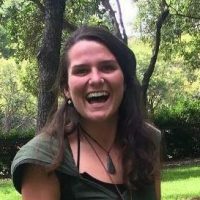 "The Fungi Academy is an amazing collective of passionate souls that are working to change this world for the better, and they hold a very special place in my heart! Anyone that has the chance to visit or support these guys in any way, do it! Be a part of the global revolution!" "Coming into this I didn't really know much about mushrooms, except that they are delicious. After a week in Fungi Academy, I really got my mind around the whole mushroom cultivation cycle. More so, I gained a sense of excitement to grow myself and how to help people get started growing their own mushrooms."